HOSH - Inspired from the Turkish word for “Welcome” – “Hośgeldiniz” and the word “Hoś”, which translates to the word “Pleasant”. 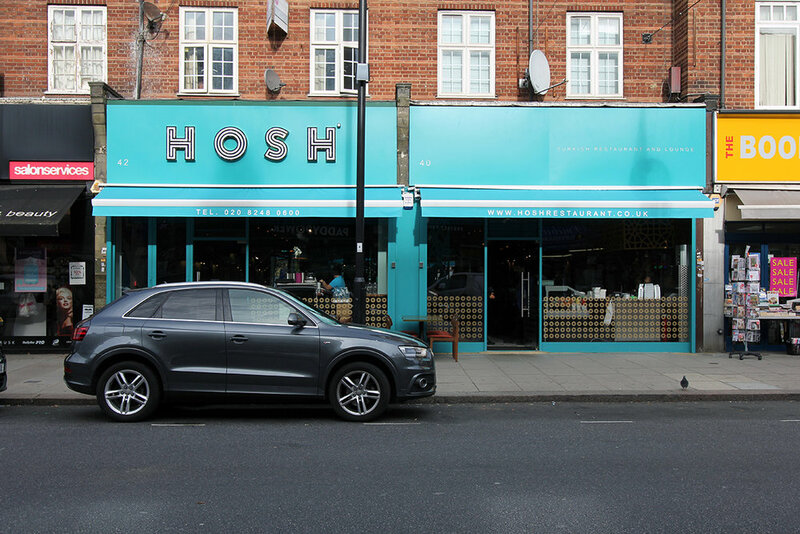 Hosh restaurant brings the best of Turkish cuisine and hospitality within a beautifully designed setting located on Golders Green High Street. With 110 covers we can accommodate small or large groups offering the ideal setting to enjoy exquisite Turkish food and drinks with friends and family. 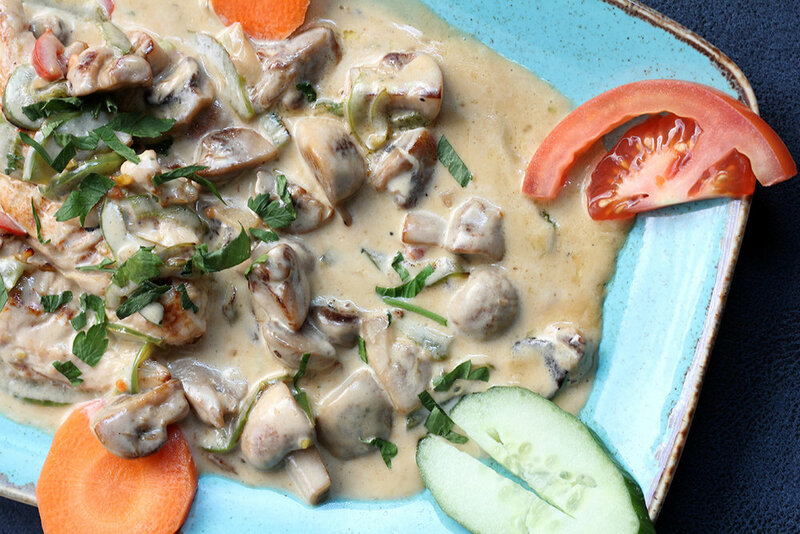 Our menu is made up of tantalizing Turkish inspired dishes from hot and cold mezes, pides, kebabs expertly cooked over hot charcoal to mouth-watering Hosh house special dishes. 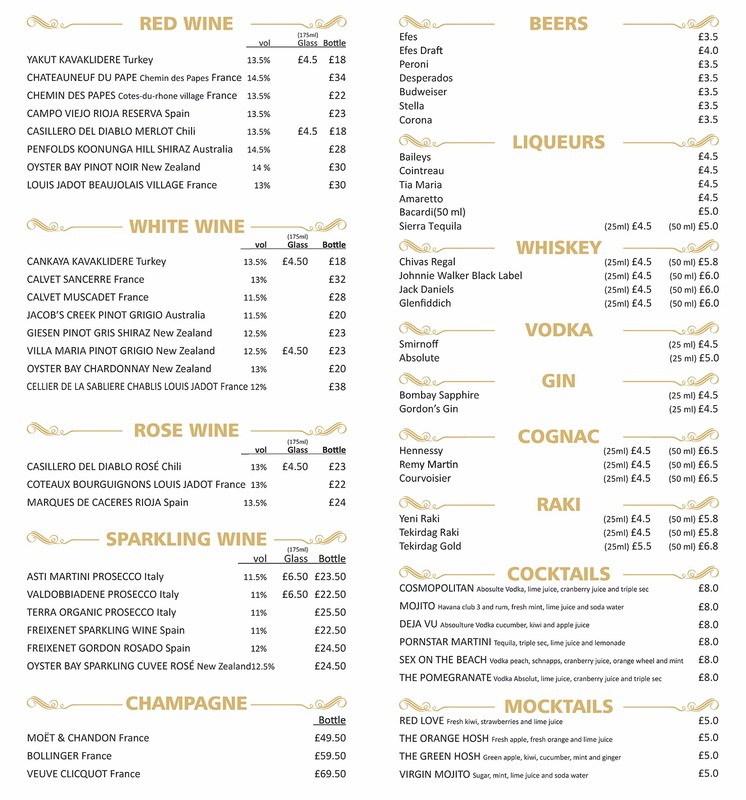 We also offer a selection of main dishes from succulent steaks to seafood and vegetarian dishes..